Let Cardinal whisk you away on a private tour experience second to none. 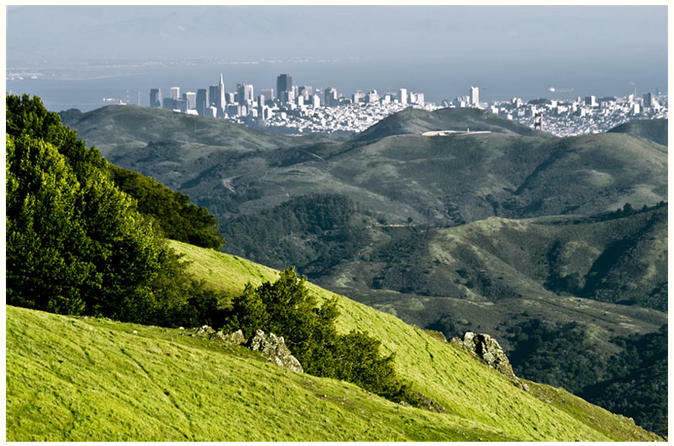 Receive VIP treatment and get chauffeured to San Francisco's North Bay historic Muir Woods, Mt. Tamalpais, Point Bonita Lighthouse, Tiburon Island and Sausalito. Combine this experience with our signature service: Private Wine Touring of Sonoma, Napa and Russian River and it's safe to say there's absolutely no better way to jam-pack your day full of fun with family and friends while visiting the Bay Area. For group sizes larger than 7 persons, please contact supplier for specific details and changes per group size. As soon as you book your Marin County Scenic and Wine Tour with us, our concierge will spend time over the phone as well as over email to customize the best winery combinations for your group, purely based on the group's preferences in venue type, grape/wine type and any other particular preferences you may have to maximize the potential of your day with us in the Scenic North Bay, and Wine Country. Our concierge also will help plan your Marin scenic experience, allowing you to visit up to 5 iconic points, or to focus on just a couple destinations before entering wine country. Our wine and sight seeing chauffeur will arrive at your hotel or pick up location of your choice in a black on black luxury SUV to pick up guests up to 7 people. We provide the option of guests enjoying a bottle of wine on us, at the beginning of the tour. Otherwise the bottle of wine we provide for the tour will be saved as a gift at the end of the tour. Immediately from your desired pick up location we will begin our journey into Muir Woods. After your group spends the time desired in Muir Woods, your chauffeur will be waiting curbside to take you to your next destination in Marin County and wine country (Sonoma and Napa). At each winery, your chauffeur will drop guests off at the front door/entrance for as long as desired by the guest party. Once called upon via text or phone call, the chauffeur will pick up guests where they were dropped off, and move on to the next winery destination. At any point during the trip, guests may ask to stop for lunch or dinner, so long as it is done within the 10 hour time frame (including the pick up and drop off time duration). Guests will be safely transported either back to the original pick up location, or another location specified by the guest group. Below are just some of the wineries we recommend visiting with us.